We got into music to avoid a job, and get lots of girls. 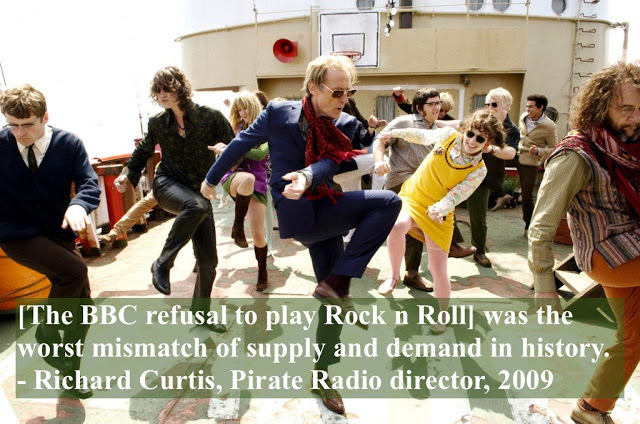 In the 60's the British Broadcasting Corp owned the airwaves and they were NOT having the rock 'n' roll revolution . . . They all seem to be out of their minds. There's no absolutes in life - only vodka. 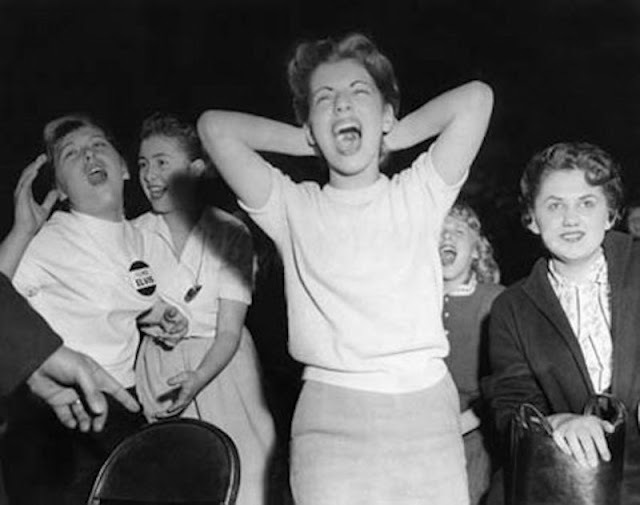 On the BBC, six hours of "pop music" a week was allowed, AFTER passing censorship and approval . . . . I'd rather be dead than singing 'Satisfaction' when I'm forty-five. 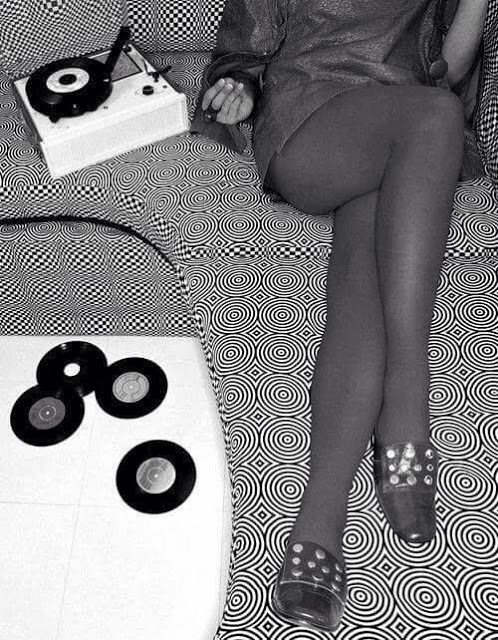 Rock 'n' roll will never die. There'll always be some arrogant little brat who wants to make music with a guitar. 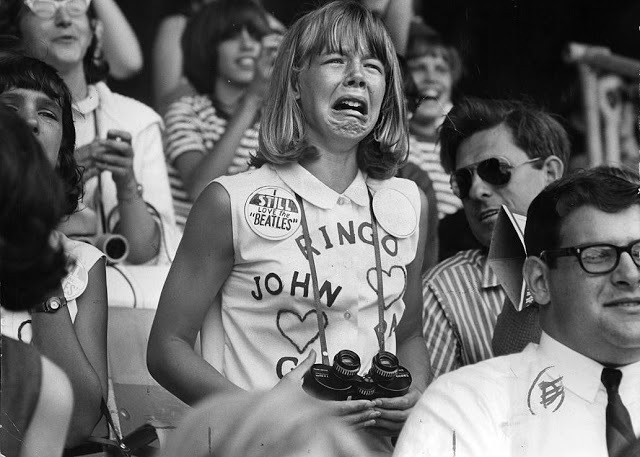 Ironically, the British invasion did more than just look . 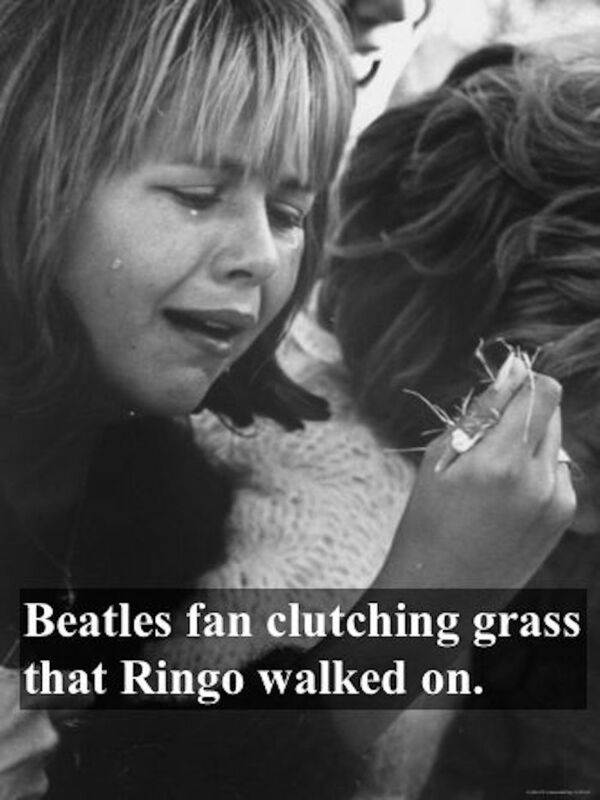 . .
and Amercian youth did what American youth does . . .
went mental and made some people very, very rich. 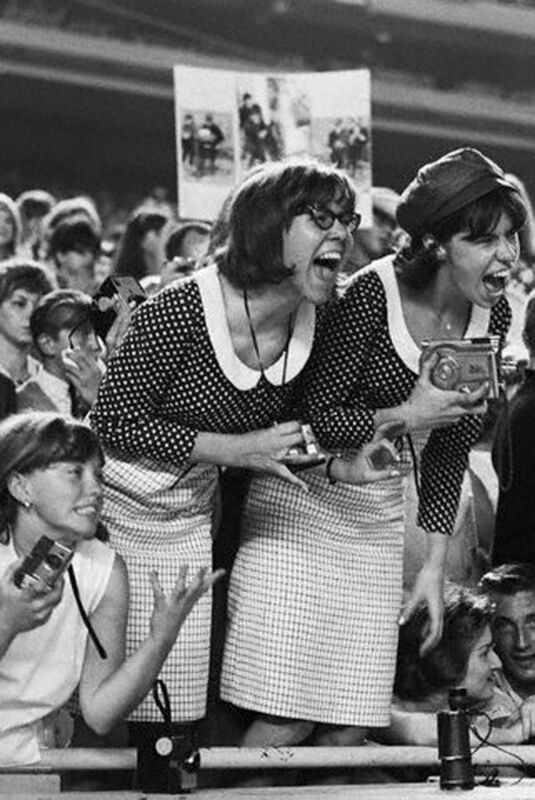 Apparently, rock and roll liberated the pelvis and it hasn't been the same since. 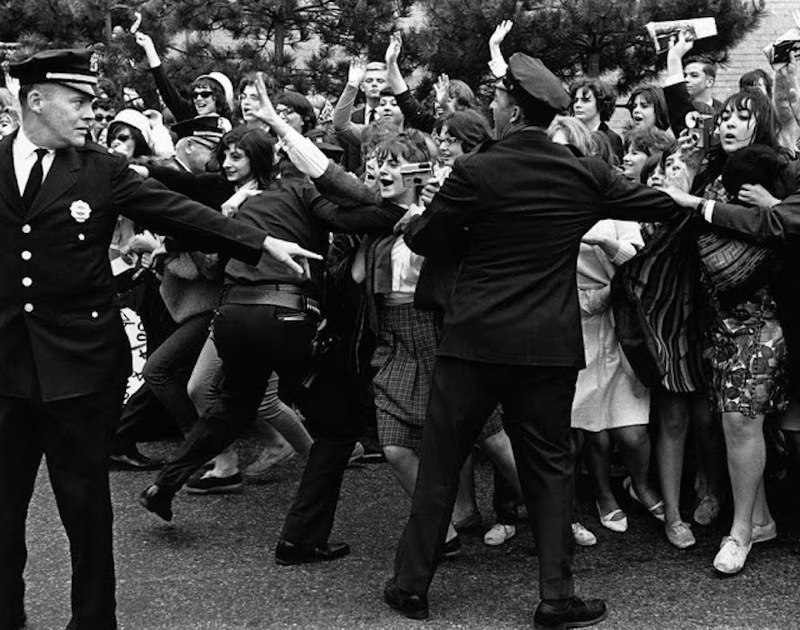 The dilemma for Brits opposed to The Beatles, The Rolling Stones, and other debauchery, was an inability to control what happened past British territorial limits. 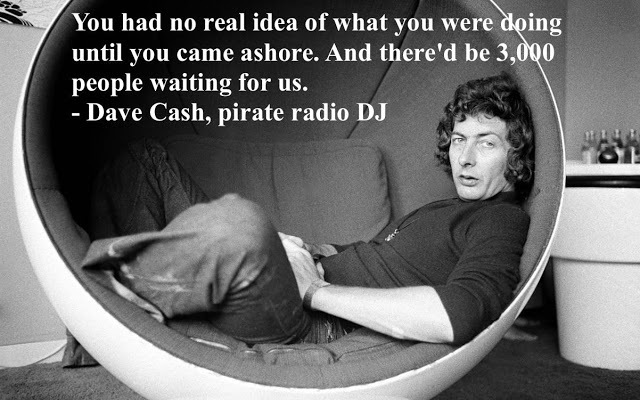 Vessels of questionable sea-worthiness and abandoned ocean platforms became offshore pirate radio stations. At dinner, the captain . . . said, 'Just for Dave's benefit, we'll have to go through the lifeboat drill.' . . . So I was in my underpants in the North Sea, I went up to my post by a boat on top deck and I stood there almost naked, freezing my arse off, waiting for instructions. 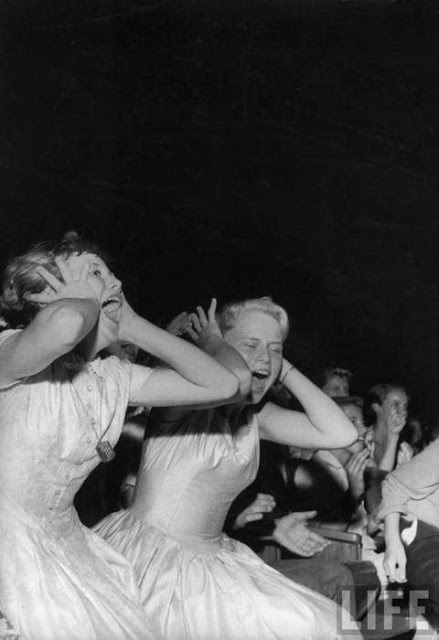 The acoustics were terrible and records would skip when the ships bobbed. 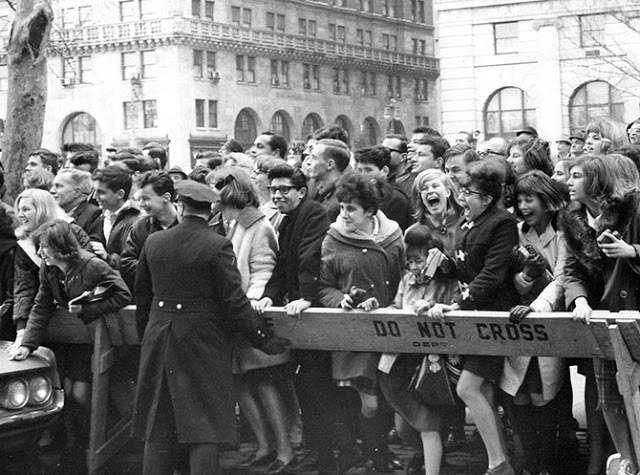 The stations were also able to tap into advertising funds, something the BBC did not do. 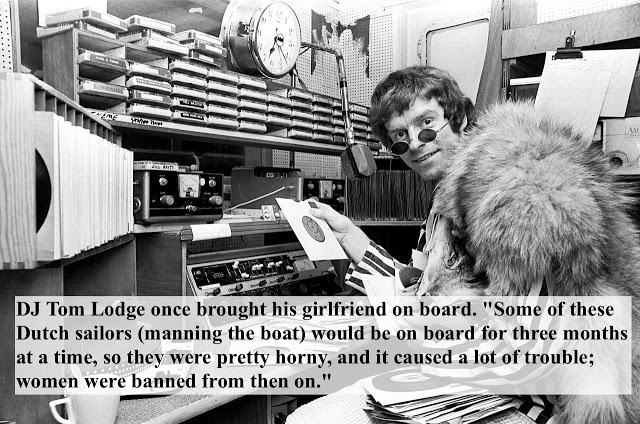 DJ Tom Lodge explained why women were banned. In August 1967, the government implemented the Marine Broadcasting Offences Act, making it illegal to work on, supply or advertise on pirate ships which killed the stations. 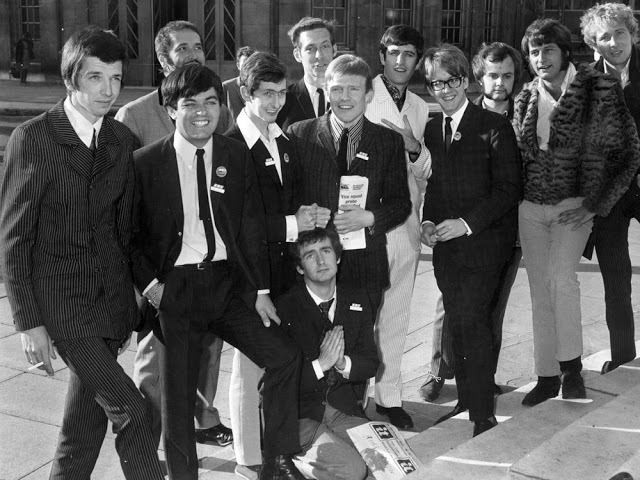 The BBC set up its pop channel Radio One in 1967 and recruited many of the pirate DJs. 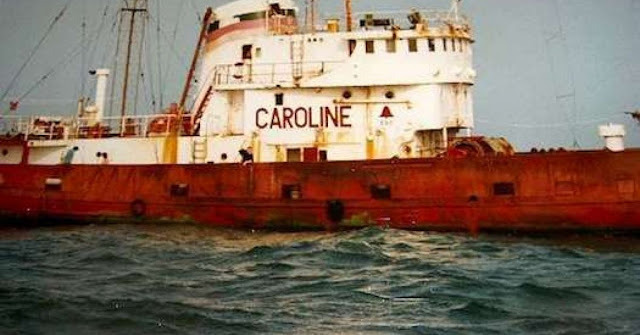 The Principality of Sealand, a micronation, is a remanent of pirate radio. HM Fort Roughs, is an abandoned WWII anti-aircraft gun platform, off the coast of Suffolk, England. 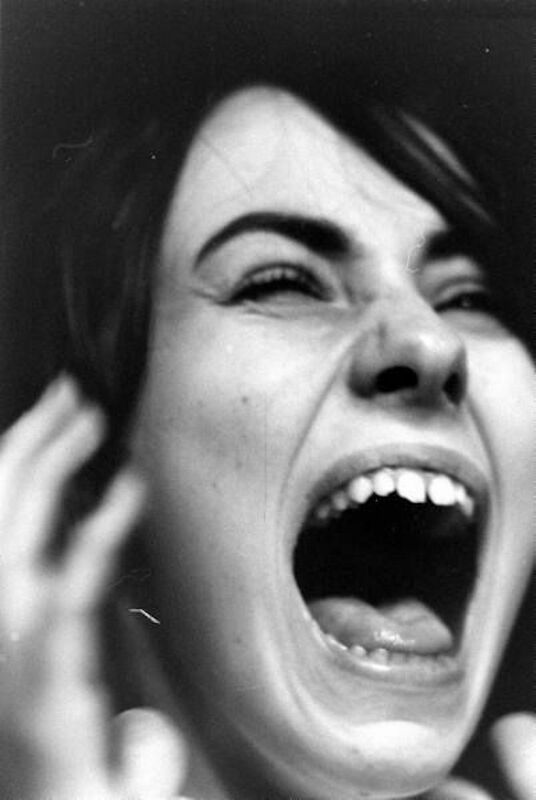 In the 1960's, pirate radio broadcaster Paddy Roy Bates ejected a competing pirate radio operator from the platform and declared that the structure was an independent nation-state. 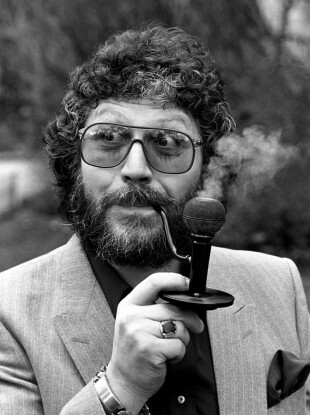 Bates, now the prince of his own nation, decided not to continue broadcasting. Instead, he created a national flag, stamps, currency, and constitution. 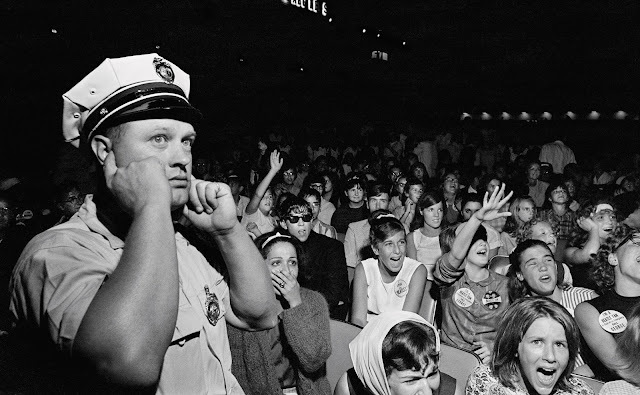 A few years later, after thwarting an occupation effort by another pirate radio broadcaster, Roy and his son Michael were arrested on weapons charges. The courts ruled that the area was outside of the British territorial limits. 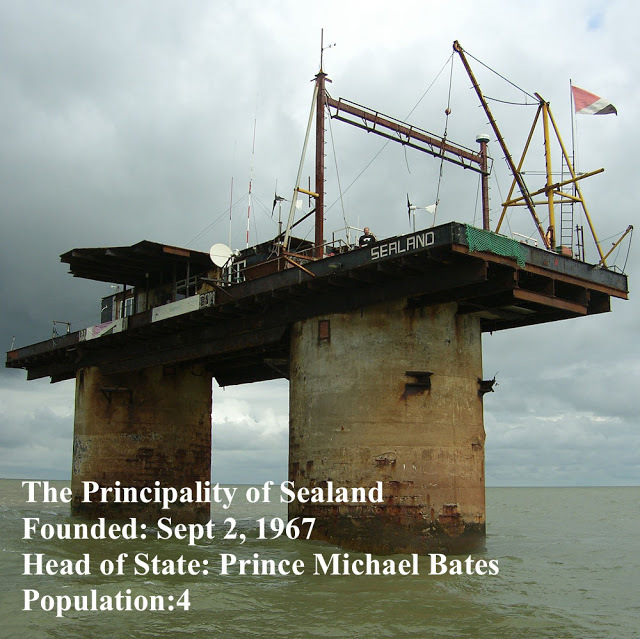 In 1978, a German businessman, Alexander Achenbach, calling himself Prime Minister of Sealand, invaded platform and took Bates's son, Michael, hostage. Bates launched a counterattack and held Achenbach and company as prisoners of war. Germany then sent a diplomat to Britain to ask for intervention but Britain claimed they did not have jurisdiction. 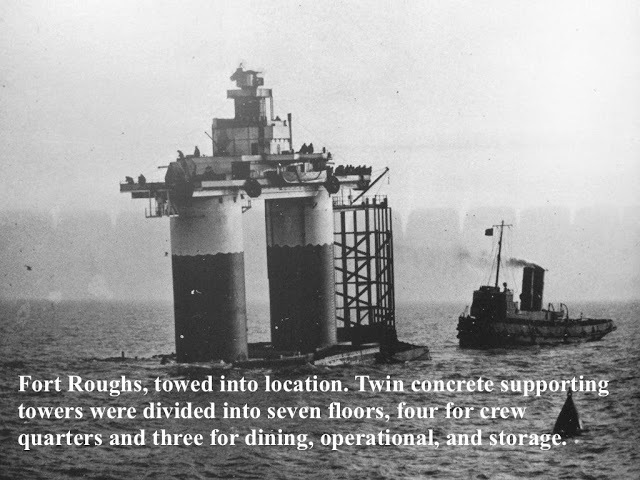 Germany then sent a diplomat to Sealand directly to negotiate their release. 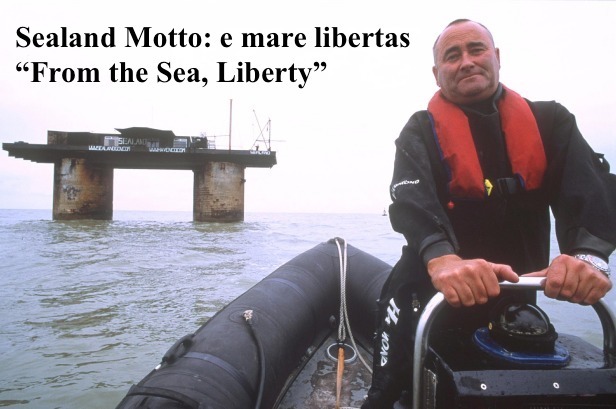 In 1987, the UK extended its territorial waters from 3 to 12 nautical miles moving Sealand inside British jurisdiction. 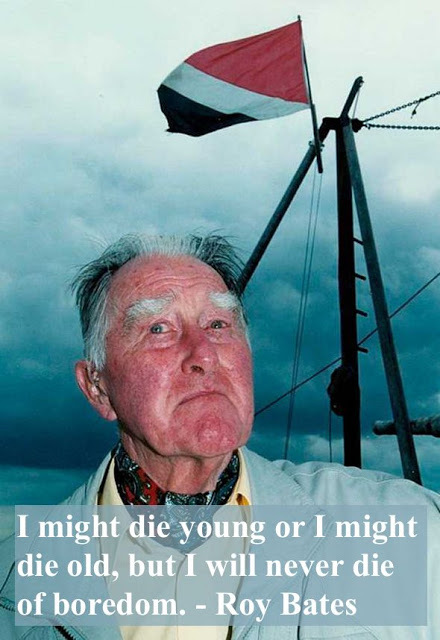 150,000 Sealand passports were revoked. 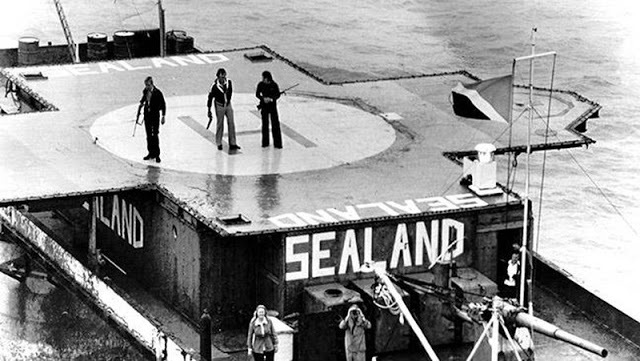 An attempt was made to sell Sealand in 2007 but the $900 million asking price was evidently beyond the market for a WWII platform nation-state. 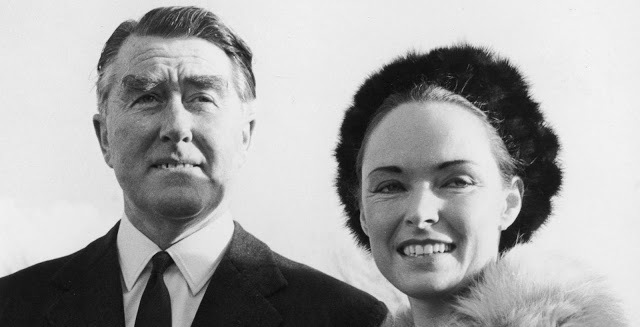 Roy Bates died in 2012 leaving his son Michael as the royal heir. The Principality continues to sell a variety of items including titles of nobility and publishes an online newspaper, Sealand News. 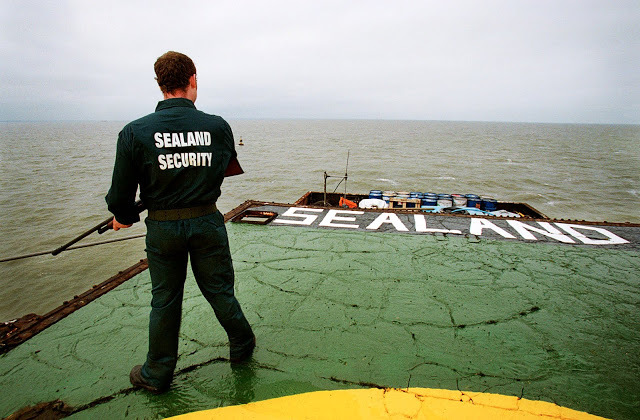 Sealand is currently occupied by a caretaker.